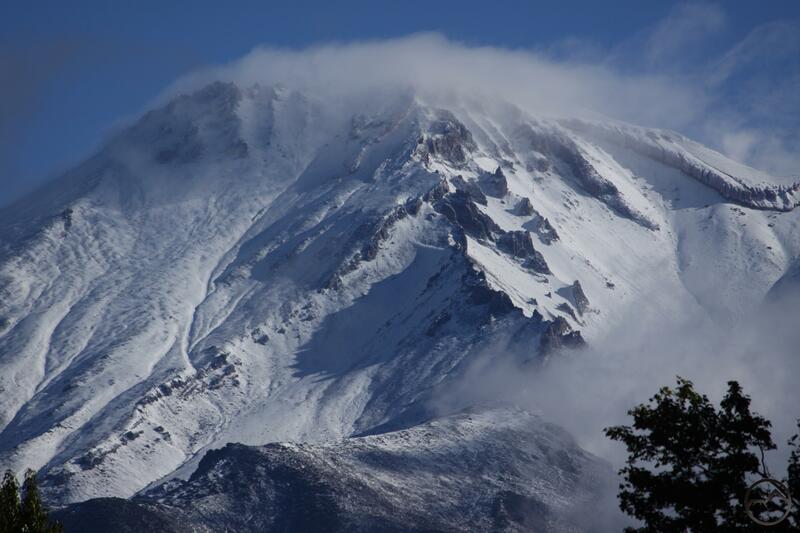 A new layer of snow blankets Mount Shasta. In a post back in July I documented how the low snow level from the previous winter had resulted in an increasingly bare Mount Shasta. As the summer progressed the snow continued to dwindle until there were just a few meager patches on the mountain’s west side, the only side that hosts no glaciers. Seeing this side of the mountain without much snow on it is not unusual but it was disconcerting to see that it was just a matter of a week or so before there would be nothing left at all. The last few days we have gotten some rain and as a result our once naked mountain now has a beautiful white mantle of snow on it once again. This seems to have been the best possible combination of conditions. 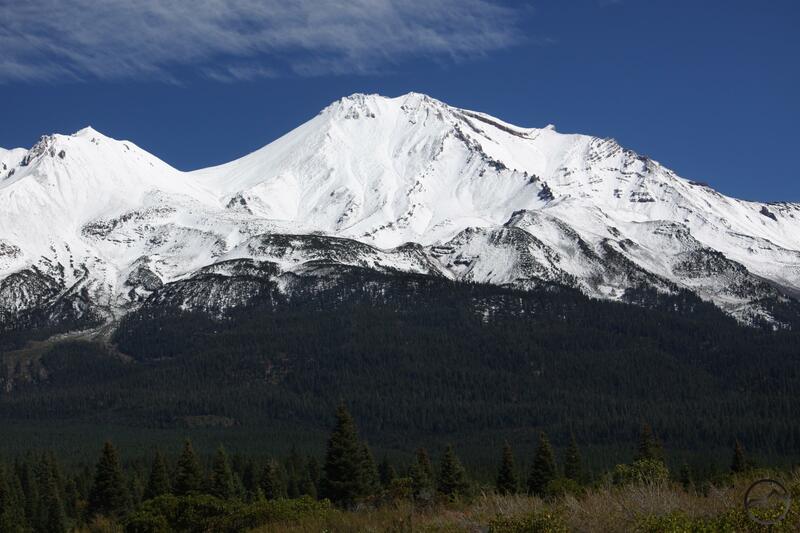 The snow covers most of the mountains’ barren volcanic rock but not quite low enough to make the other mountains around Mount Shasta, particularly in the Trinity Divide, inaccessible. The result is that now is a great time to hike the high country and have a chance to see a snowy mountain once again (assuming the skies are clear, of course). Given the lateness of the season and the already cooling temperatures, it is possible that this new level of snow won’t melt off completely and the mountain will retain some of its icy dignity. It is interesting to compare the snow levels with the same date in years past. Even though 2013 was the lightest year in the last few years, the mountain has more snow on it now than it did in the heavy years. 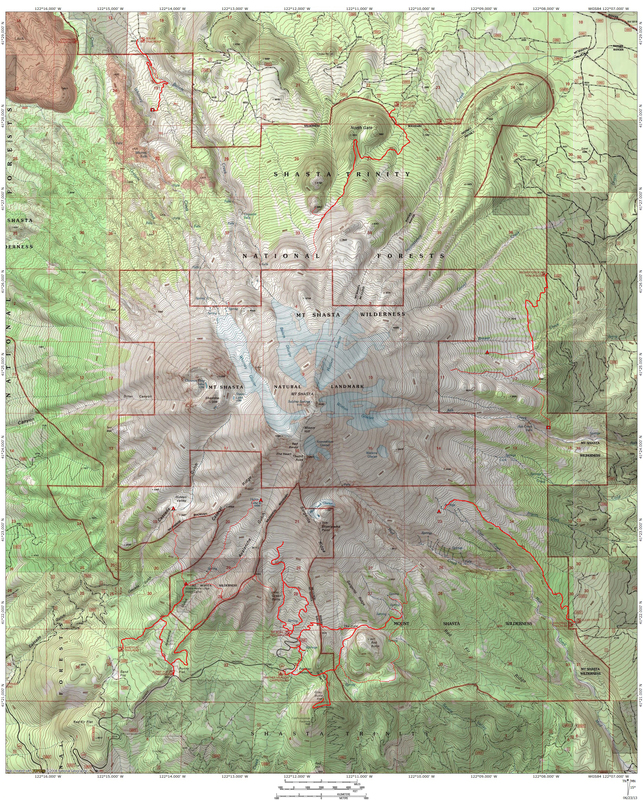 If one desires to hike on Mount Shasta right now, the best bet is to head to the Horse Camp Trail. The mountain is covered in snow high above but the snow around Horse Camp is light enough that it makes for easy hiking. These are ideal conditions for this hike. With the seasons changing and the opportunities to enjoy the high country growing fewer, this is a great opportunity to enjoy a hike in the Mount Shasta area. Fresh snow on Mount Shasta.